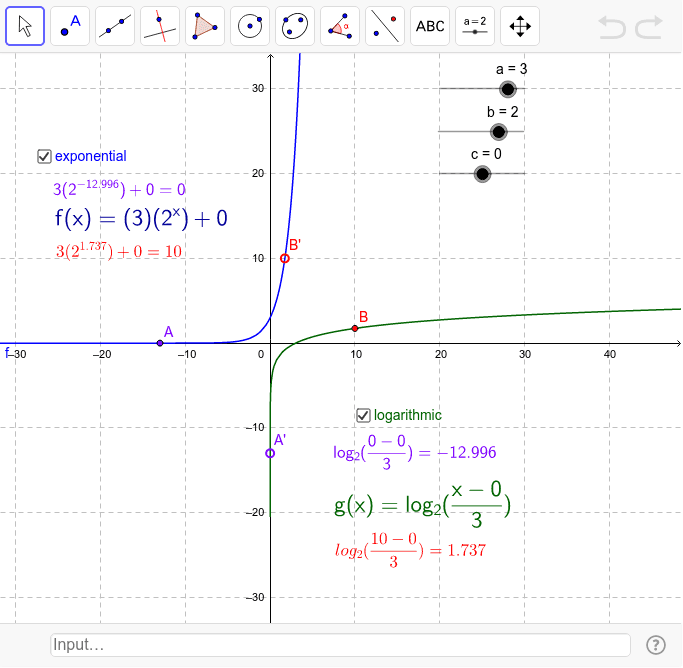 This sketch allows you to compare related exponential and logarithmic curves. Play around with the options. What effect do a, b and c have? What connections do you notice? How can you make the curves cross? What is the meaning of the intersection points? What limitations did the author put on the value of b? Could it take on other values? Are there any restrictions on a or c?